On Wednesday 12 and Thursday 13 November we will be present at the Precision Fair 2014 in Veldhoven. We would very much like to meet you and invite you to visit us at our stand nr. 105. During this exhibition, you have the opportunity to see numerous innovations. The conference program consists of 50 inspiring lectures about microprocessing, engineering, measuring and motion control. You can visit the exhibition and conference program free of charge. PRODEX will be held for the seventh time in Basel from 18 to 21 November 2014. 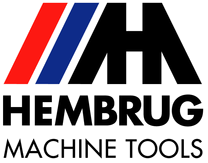 Take a glance at the exhibitor and visitor numbers and you will see that the international specialist fair for machine tools, tools and production measurement has become the most important meeting place for the manufacturing industry in Switzerland. Hembrug will be presenting the renewed Mikroturn Twin Spindle The Mikroturn® Twin Spindle is a dual spindle version of the Mikroturn® series of hard turning machines and is designed to increase production output in the ultra-precision final processing of hardened steel workpieces with diameters of up to 100 mm. In particular, parts manufactured in large quantities, with cycle times of between 10 and 30 seconds.